With Sitting at the Feet, two organizations who are friends of mine worked together on the Chinese version. 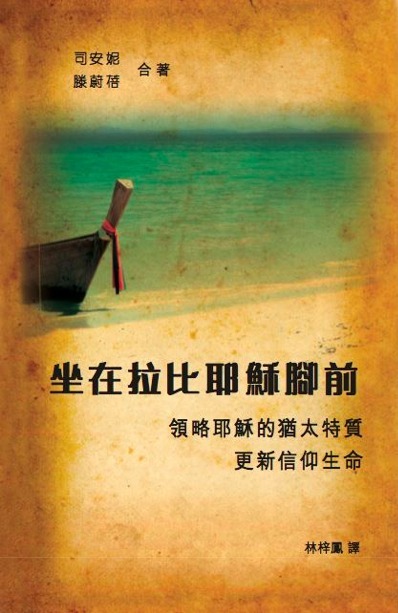 A Hebraic ministry in Hong Kong called HaDavar Yeshiva, led by Peter Wong, did the translating. They’ve also translated other Hebraic books, like David Bivin’s New Light on the Difficult Words of Jesus and Marvin Wilson’s Our Father Abraham. You can find them in their bookstore. They have a lot of good articles on their website including several older ones of mine in Chinese too. The organization who sponsored the publication of the Chinese Sitting at the Feet of Rabbi Jesus is East Gates International. (They also translated my earlier book, Listening to the Language of the Bible.) This ministry is headed by Billy Graham’s son, Ned Graham, and has a mission of training Chinese pastors and lay leaders, as well as legally distributing Bibles and Christian books in China. Along with classics by Billy Graham and other Christian leaders, they’ve translated some excellent Hebraic titles by Dwight and Keren Pryor. Ned’s wife Christina has a special heart for teaching about the Hebraic context of Christianity. Check out this article on their website, Insights Between Chinese and Hebraic Culture. If you’re interested in ordering a copy of Sitting at the Feet in Chinese, go to this link on the East Gates site. Cost is $15.00 which includes shipping. You can order via Paypal or contact them at http://eastgates.org/contact.html for more information. Listen to Lois' Story - An Interview on "The Profile"
Reading the Bible with Rabbi Jesus - Your Thoughts? Covered in the Dust of Your Rabbi: An Urban Legend?